Hypnosis may have a long history as an act performed by charlatans for the delight and amusement of an audience, but hypnotherapy is an entirely different discipline. As science and psychology have labored to understand the inner workings of the human mind, we’ve come to discover that entering into a suggestive and hypnotic state can lead to all kinds of benefits, provided the person guiding the sessions takes a clinical and ethical approach to the process. You might not like the idea of someone messing with your brain, but it cannot be denied that hypnotherapy has indications for those dealing with phobias, addictions, and other issues that feature a psychological component. Of course, studies are still being done. But if you’re suffering from severe and ongoing stress, you might want to consider what you stand to gain by adding hypnotherapy to your routine. Reputable institutions, including the British Psychological society, have found a positive correlation between hypnotherapy and stress management. And if you’re worried about the prospect of getting a quack when you go looking for a qualified hypnotist, you’ll be happy to hear that there is a National Board for Certified Clinical Hypnotists that can refer you to psychologists, physicians, and other professional healthcare providers that are trained and certified in the practice of hypnotherapy. So finding a reliable source for this type of therapy need not rely on a random listing in the Yellow Pages or Yelp. But how, exactly, does it help with stress? Consider that hypnotherapy is like guided meditation. We all know that certain things can help us to relax. Many people use specific diet plans and exercise routines, for example, to cut down on the stress in their lives. For some, cutting out sugar, caffeine, and other stimulants produced the desired result. For others, jogging, swimming, or yoga can deplete excess energy that exacerbates stress. But hypnotherapy offers a means of relaxing both body and mind simultaneously, leaving the patient in a state of deep relaxation. In addition, hypnotherapy could be considered a form of acute mental focus. In this state, patients are able to calm the noise in their head and reach into the subconscious. It is here that we are most able to sift through the glut of input that we are subjected to daily in the form of information, sensations, and so on. A trained hypnotherapist can not only lead most patients into this suggestive state, but can help them to figure out what is causing their stress. From there it is much easier to address the problems that are creating stress and find ways to cope that are positive and healthy. 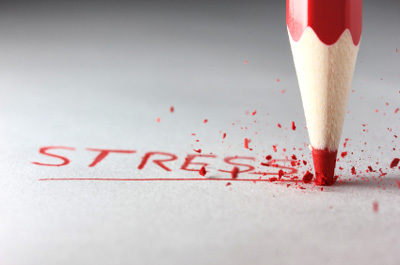 At the very least, hypnotherapy for stress can help to alleviate the troubling symptoms of anxiety and even physical illness that may correspond with stress. But achieve awareness hypnosis sessions can get to the root of long-term problems that may contribute to the formation of stress. It won’t work for everyone; only a portion of the population is capable of entering a hypnotic state. But if you are able to undergo hypnotherapy successfully, it could have a positive impact on your life, reducing stress and helping you to understand and deal with the problems that are causing it.